The low you need to keep an eye on is the one over the central north USA at day 6 . The big 3 fail to agree on its amplitude , the GFS is the flattest with that , the ECM more amplified , the UKMO the most amplified . NCEP currently favour slower solutions which means the more amplified solutions . And the para the best of the lot Day 6 most amplified in central USA but not as slow as ukmo? Reminder again that at this exact stage in Feb the models flipped from showing the jackpot to us not getting anything one day/one run to the next. 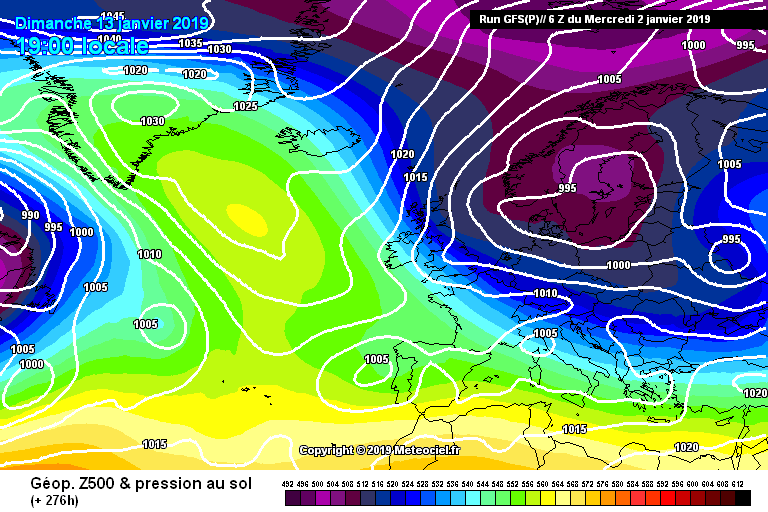 The game goes on ,but tomorrow's update could be different again .The warming as taken place ,I'm sure we will soon see some brilliant charts appearing, unexpected ,sudden ,mind blowing output . I'm up the wood shed right now ,it's freezing ,frost as just melted ,we await this evening's output, STELLAS all round gang. The musings of these great forecasters and weather gurus now appear at variance to the Met Office boffins with the cold and chance of snow pushed out to month end as opposed to mid month. Will be interesting to see what occurs. Meto update re cold being pushed further back once again. Remember that it was originally progged for the beginning of January. As I mentioned previously, once these super HP cells settle over our shores they are incredibly difficult to shift, meandering here and there like a duck on a choppy pond, but still on the scene all the same. Remember, this SSW could sail by with little or no impact at all. The westerly phase of the QBO could also be a signal to mild, hence why the Meto are stalling. In the meantime, plenty of useable weather with calm benign conditions so not a lot to grumble about at all. Further to my post this morning with the usual 500 mb anomaly charts. 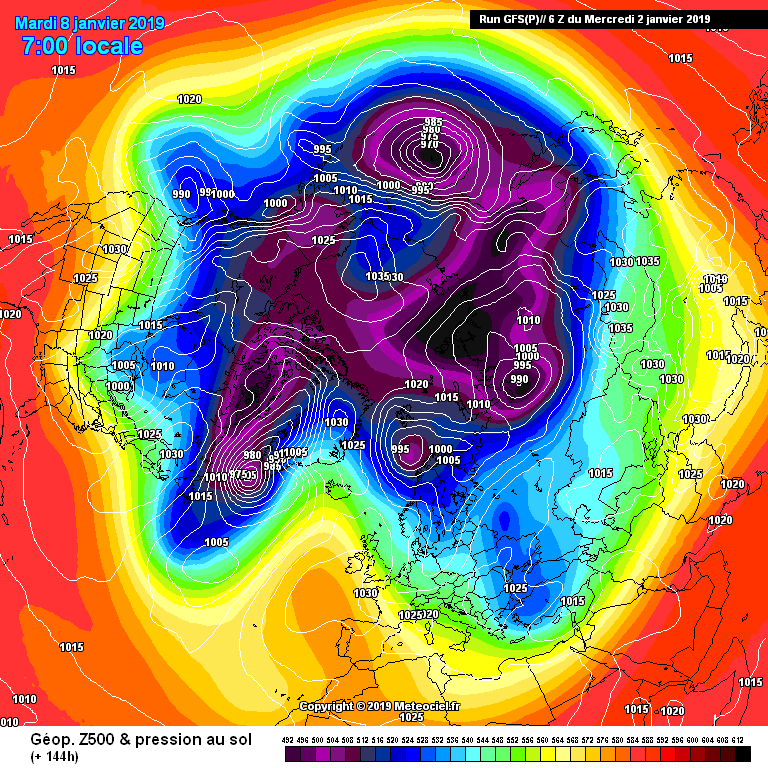 They do 'appear' to show some slight shift towards a build of heights NW of the UK. No more than that. 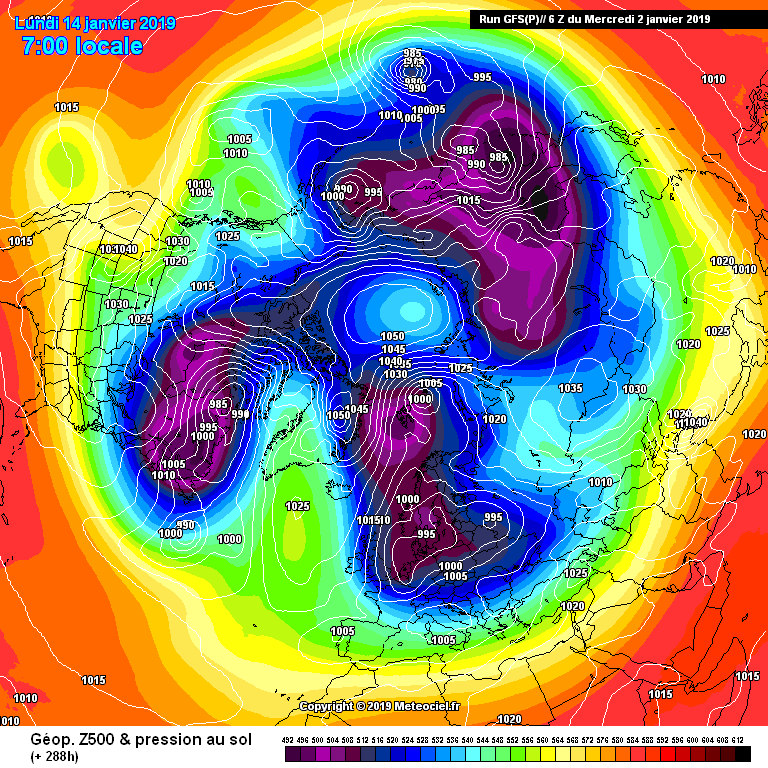 As well some of you do need to remember that a SSW does 'not' ensure a cold outbreak of any length for the UK. For anyone interested it and the links are on page 200 I think? The GSFP has been reasonably consistent in showing colder conditions from mid-month, which is still 2 weeks away. Had the MetO been absolutely spot in in their forecasts previously, I might pay more attention. As it is, mid-month is not without interest and those writing off cold until Feb are being a little hasty IMO. Duplicate image removed. Delete from below post! FV3 and GFS are not on the same wave length. GFS disintegrates a 1045mb Arctic high as soon as it hits low res and sends it packing South to Canada. The Tottenham Hotspur stadium has been put back less than this cold spell! However ,as with the stadium , it's coming...the models are just finishing 'building' it! Onto the 12z to see progress! Anyone have thoughts on Dr Cohen's latest post? Seems ok to my (amateur) eyes. I asked him his thoughts on the possibility of HLB building in the vortices gap around Greenland and he said "I think so." No MJO update for the ECM today . Something weird happened with it , can’t link as on iPad but take a look at the site and you’ll see what I mean ! It has the signal in phase 2 shooting at a hundred miles an hour into phase 6 . This is completely wrong so we don’t know where it really is . Yes, I see what you mean. I think the start position is phase 2 is a programme error, it should start in phase 6 which I think is correct then moves swiftly through a low amplitude 7 & 8 before entering the COD. Given the low amplitude anyway I don't think it will be helping too much in maintaining a mid Atlantic ridge. 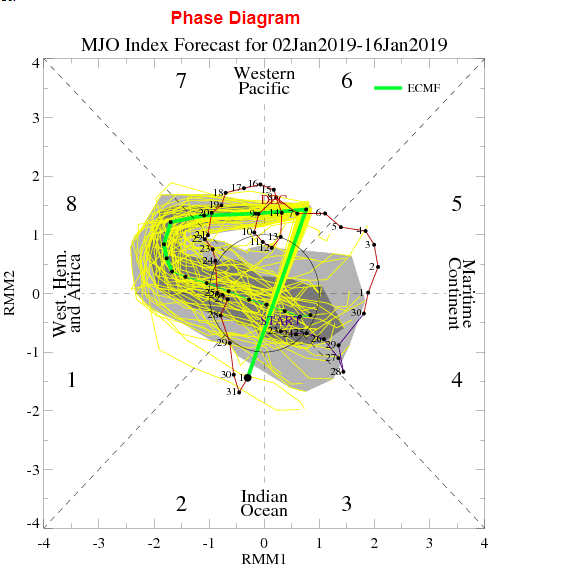 There’s still uncertainty as to what happens as the MJO moves into phase 7. We’ll need to wait a few days . Well if it can't get starting position i have little faith what it shows late on low amplitude are not..
Im tired of mention..these are classic cross board miss frequences!.. The amplitude is not great but it has increased than previous days. Ok peeps i will closing this thread shortly so finish up any posts and i will open a new one in a few minutes.